Founded in 2005, Global Tele Sales Brno s.r.o (GTS Brno) provides customer service support for Lufthansa, SWISS International Airlines and Austrian Airlines. A subsidiary of GTS Group, GTS Brno assists customers in central Europe with services such as web support, customer feedback and claims handling. With seven GTS Group service centers spread across the globe, including GTS Brno in Brno, Czech Republic, the company has extensive customer service knowledge related to the airline, travel and logistics industries. As an expert in the field, the company must ensure that its employees are well equipped to serve customers in their time of need. Most importantly, this means being able to effectively communicate. When GTS Brno opened its doors in 2005, this mindset was no different. Most of the service center’s 200 employees spend around 70 percent of their time on the phone with customers, so the company realized the need for superior call quality. This objective, coupled with the high density of agents on the floor, drove GTS Brno to search for a top of the line headset with unmatched noise cancellation features. GTS Brno’s search for the perfect headset solution led to the testing of several brands, including Plantronics. 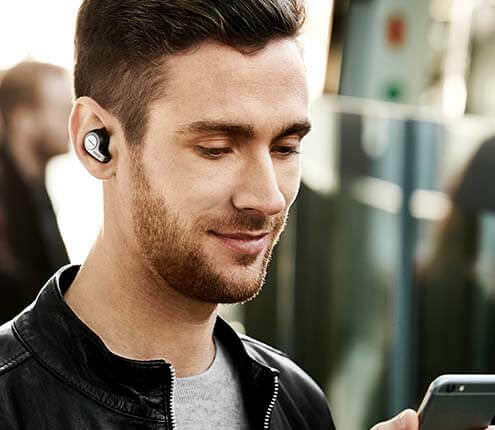 However, after a comparison to Jabra products, too many problems with other vendors surfaced that they ultimately couldn’t ignore, such as poor call quality, connectivity issues and user discomfort. 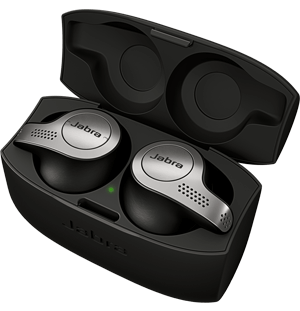 Nicolae Rilea, ICT specialist at GTS Brno, said that the trial period was the best thing that could have happened because it demonstrated Jabra’s better sound quality and enhanced ergonomics. Today, 70 percent of GTS Brno employees use Jabra headsets, specifically the Jabra GN2100 Duo Flex NC. Many employees also utilize Jabra’s specially designed accessories to boost functionality and comfort, including extended cables, replaceable ear cushions and Y-cables. The Y-cables have been an especially helpful added bonus as they allow supervisors to easily listen in on agent calls to ensure their skills are up to par. With years of excellent Jabra service and usability behind them, Rilea also revealed that GTS Brno has never considered turning to another headset brand and doesn’t plan to in the foreseeable future. Founded in 2005, Global Tele Sales Brno s.r.o (GTS Brno) provides customer service support, such as Web support, customer feedback and claims handling, for Lufthansa, SWISS International Airlines and Austrian Airlines. The company needed a superior headset solution with proven noise cancellation features.